To find the name and phone number of your Primary Care Physician, please look at the front of your Member ID Card. Driscoll Health Plan offers members access to many locations with extended hours. Enter the city or zip code and click search to see a list of available options. Know when you should go to the emergency room. Call your doctor first for non-emergency medical care. Learn and follow Driscoll Health Plan’s (DHP) rules and Medicaid rules. Cancel doctor visits ahead of time when you can’t keep them. Your Primary Care Provider or another doctor is available by phone 24 hours a day, 7 days a week. Emergency Medical Care is provided for Emergency Medical Conditions and Emergency Behavioral Health Conditions. in the case of a pregnant women, serious jeopardy to the health of a woman or her unborn child. which renders the Member incapable of controlling, knowing, or understanding the consequences of their actions. Emergency care is there for you 24 hours a day, 7 days a week. Are Emergency Dental Services Covered? Traumatic damage to teeth and supporting structures. Treatment of oral abscess of tooth or gum origin. Treatment and devices for craniofacial anomalies. Drugs for any of the above conditions. DHP also covers dental services your child gets in a hospital or ambulatory surgical center including other services your child might need, like anesthesia. 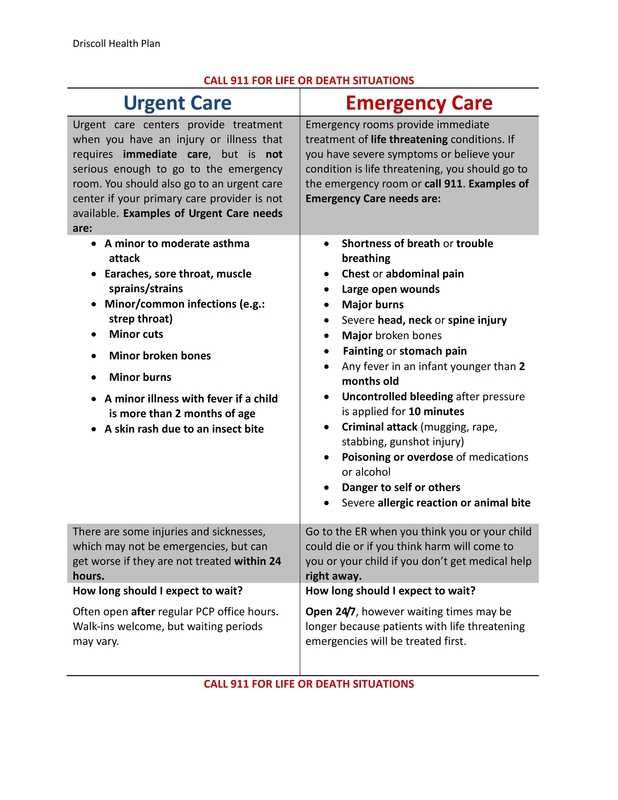 The Member Handbook tells you about emergency care. Call DHP, Case Management Department at 1-877-222-2759 if you have any questions or comments. 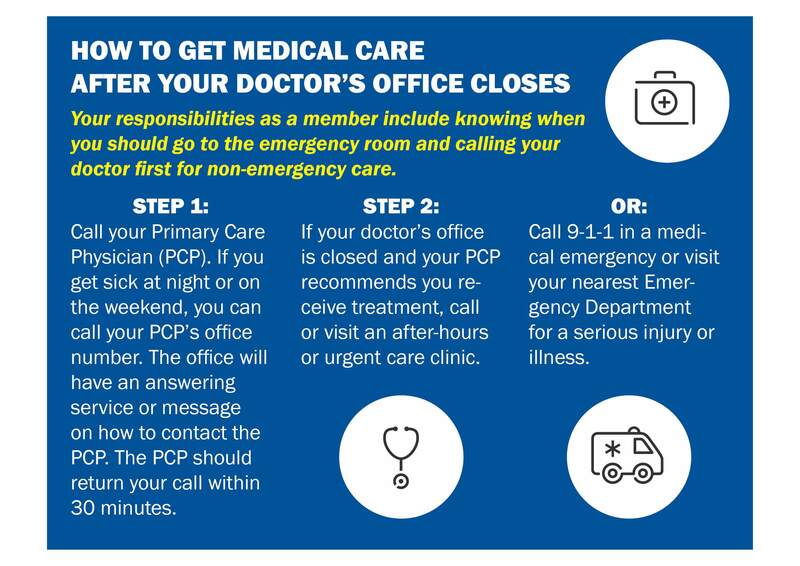 We hope this information makes it easier for you to contact your PCP, after-hours clinic or an urgent care clinic in your area. If you have questions or need help changing your PCP, please call us at 1-877-DCHP-KIDS (1-877-324-7543). We are available Monday – Friday, 8am–5pm. Thank you for choosing Driscoll Health Plan!